Travel ignites your soul. Let me help make travel planning easy for you. Are you planning to travel and want to speak with someone who cares about your travel investment? If so you’ve stopped by the right website! For the last twenty years I have been providing high-end service and professional travel consulting to help my clients achieve their travel dreams. As an avid traveller myself, travel really is my passion and my work – I take pride in sharing my love for travel with others. From a very young age I knew there was so much more to learn and experience outside of the little village I grew up in, and it brings me pleasure to help others travel the world. Visiting new destinations and emerging myself in a variety of local cultures allows me to have an unique perspective and understanding of each country I visit. I truly feel this allows me to better assist my clients as they journey along through life and explore the wonderful world we live in. Being a professional travel advisor with TPI allows me the ability to offer a level of personalized service that you will not find by booking with an automated online booking company. When investing your time and money to travel it is important to speak with someone who cares about your travel and this is something I am passionate about. 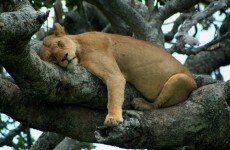 While I work with clients to help them travel to any destination I specialize in travel to East Africa. Having the opportunity to live in the Nationals Parks in East Africa for five years provided me with the knowledge to plan an unforgettable experience for you and your family & friends. During my time living in world renowned National Parks in Tanzania and Kenya I had many up close and personal experiences with the wildlife, spent time trekking the majestic Mountain Gorillas in Rwanda, relaxed in the amazing Underwater Manta Resort on Pemba Island, explored the island of Zanzibar and started a children’s foundation in Moshi, Tanzania. With many great contacts for all types of adventures, creating a special trip to East Africa for others is something I love to do. My love for Africa runs deep! Call or email me with your travel requests. My goal for customer service is focused on providing travellers great options for their travel plans at competitive prices. The objective is to build an ongoing relationship that leaves you confident that your travel plans are in the hands of someone who wants the best for you. No matter where in the world you are looking to travel I look forward to working with you to make it the most memorable trip. I love my job – every day I get to talk with people about travel. Learning about travel history, your likes and dislikes helps me understand what travel options may work best for you. I am very passionate and enthusiastic about my career as your personal travel advisor. The world is yours to discover! Why Use a Travel Agent?! With all of the discount booking sites, planning a trip today can be confusing and time consuming. A travel agent not only arranges numerous modes of transportation, but a travel agent can also save you money with early booking discounts, special fares, hotel deals and travel advisories. Even if you’re not planning a complicated trip, it’s worth considering the increased value of professional advice. A large part of the travel industry is built on relationships, both formal and informal, and if your advisor has the right ones, it can pay off for you! Here’s a few reasons why booking with me for your next trip is a wise choice…..
Save Money – The most affordable rates and fares aren’t always found online, especially when it comes to luxury travel. Strong working relationships with travel suppliers and the latest in computer reservations technology enables me to access the most up-to-date information on how to get you the best value. Peace of Mind – Every trip can have a hiccup or two. A missed cruise connection due to winter travel, an airline going belly up, finding out your flight or hotel reservation was overbooked. In such situations, the value of my personalized travel service really shines. I also offer Travel Insurance options to protect your vacation investment. Convenience – The one-stop shopping for all travel arrangements. Service – We are the experts! – Personalized service from someone who really cares about your travel. I am very knowledgeable and active in the travel industry. 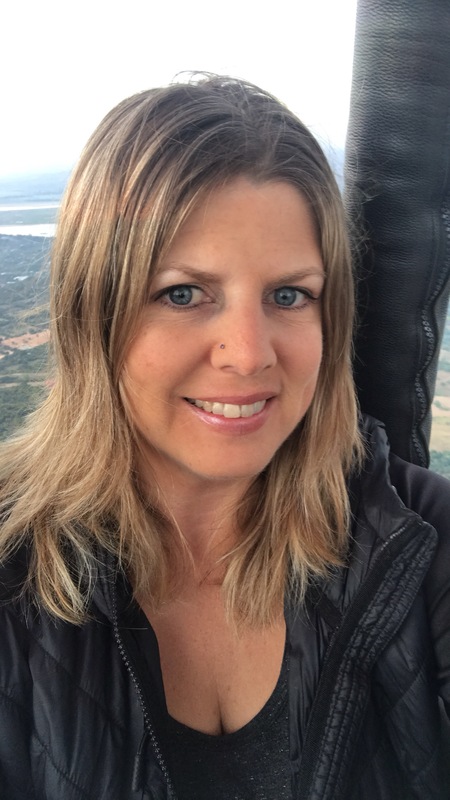 My many years of experience in the travel industry allows me to offer top travel advice and tips for your next trip and make the booking process stress free. Travel is my passion and my life work, my first-hand travel experience, education, and ongoing training with cruise lines, resort chains, tourism boards and other travel company’s make me a travel expert who can make sure your vacation turns out just the way you imagine. Agents Will Go the Extra Mile – I work for you and will do everything I can to meet your travel needs. I go the extra mile to help my clients. I understand that no two travellers and no two trips are exactly alike and I take the time to learn your unique travel interests and needs to turn them into your own personalized travel experience. The Virunga Mountains are a chain of volcanoes that border northern Rwanda, Uganda and the Democratic Republic of Congo. This spectacular range of mountains consists of eight major volcanoes, only two being active which are both in the DR Congo. These mountains are home to the critically endangered Mountain Gorillas which are listed on the IUCN Red list of Endangered Species due to poaching, habitat loss and war. Located in the Virunga Mountains are three national parks; Virunga National Park in DR of Congo, Volcanoes National Park, Rwanda and Mgahinga Gorilla National Park, Uganda. 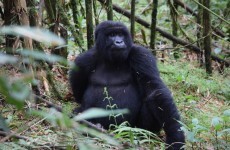 Our safari was arranged with Volcanoes Safaris, a great tour company offering high end experiences for gorilla trekking. They also own the Virunga Lodge which I thoroughly enjoyed for two evenings, before and after the "trekking day". Rwanda is a land locked country with Tanzania to the East, Uganda to the North, DR Congo to the West and Burundi to the South. Rwanda is know as the "land of a thousand hills". Flying into Kigali you can quickly see why! The rolling hills were breathtaking. The drive from Kigali to the Virunga Lodge is about 2 and a half hours, on a nice tarmac road. Rwanda is known to be the "cleanest" country in Africa and definitely lives up to that fact. I was amazed at the care and detail that the Rwandans take in maintaining the streets, properties and the many hills and valleys. As we approached the Virunga Lodge (I was travelling with my friend Micheline) the views became more and more beautiful. The lodge is situated on top of the hill over looking twin Lakes Bulera and Ruhonda. I will write a separate blog on the lodge soon!Shortly after arriving we had lunch while taking in the splendid views of the lakes and mountains. I booked a massage (included in your stay) which was followed by traditional dancing, preformed by local men, women and children who live in the neighbouring villages. A 5am wake up call (with coffee or tea in the room), breakfast at 5:30am and we were off to the Volcanoes National Park Headquarters, the meeting point for the gorilla trekking. All trekkers gather here at 7am to meet with guides and fellow trekkers. Trekking groups are limited to 8 people. We were a group of 6 plus one head guide and a ranger with a rifle (due to the fact that there are also elephant and buffalo in the mountains you are trekking). Safety first! After meeting with our guide and being briefed on the trekking process, park rules and information about the gorilla family you are going to search for, we jumped back in our vehicle and drove a few minutes to the starting point for the trek. At this point you can hire a porter should you wish, for $10 USD. The porter is there to assist you throughout the trek and will carry your knapsack. We started along our trek, walking up hill through the homes and crops of the locals living in the mountains. All over Rwanda the locals make their living from the many farms and agriculture - to the very tops of the mountains and hillsides. We passed by families with children working their potato fields, cows and goats and many other crops. You get to spend only one hour with the gorilla family once reaching them. This helps lower the chance for transferring disease to the very vulnerable gorillas. It was the most unbelievable and marvelous sensation, to be steps away from our cousins the mountain gorillas. Watching them interact, eat, climb to the tops of the trees, the young teasing each other - something I will never forget. Being just feet away from these amazing creatures is something I wish for every animal lover! It is a joy of mine to help you plan a trip for gorilla trekking. Be it in; Uganda, DR of Congo or Rwanda, I can assist you with your plans. Speak with Amanda to start planning your gorilla trekking adventure. If you Google "the most amazing hotels in the world " or "most unique hotels" you will find several lists and articles of such. On these lists you will find, The Manta Resort! Staying at The Manta Resort has been one of my most memorable moments so far in East Africa. Located on Pemba Island, at the northern tip of the island you will find this breathtaking "all-inclusive" hideaway. Driving from the airport to the resort I quickly noticed that Pemba Island is much hillier than Zanzibar. Many crops and farming are spread from the south to the north of the island. Pemba Island is still the world's largest clove producer, about 70% of all cloves are farmed and exported from Pemba. Locals also farm rice, bananas, coconuts, cassava (like a yam or sweet potato) and red beans. 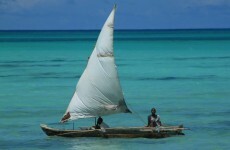 Pemba is acclaimed for its rich fishing grounds. The Pemba Channel is one of the most profitable fishing grounds for game fishing on the Swahili Coast. Pemba is known as "The Green Island" and is part of the Zanzibar Archipelago. The island lies 50 kilometres north of Unguja (also known as Zanzibar Island) which is the largest of the archipelago. The island is known to be less "touristy" and a fantastic option for travellers who are looking for a more "off the beaten track" beach experience. To reach The Manta Resort you can expect a one and a half hour drive from the airport. The drive provides a glimpse of the way of life on the island as you pass through towns and the major city on the island, Chake - Chake. The last leg of the journey takes you through the Ngezi Forest, one of the world’s oldest rain forests. Hikes through the forest can be booked as an extra excursion while visiting the resort. Arriving at The Manta Resort you are warmly greeted by the islands friendly staff. You will be assigned a service fundi (personal waiter) who will take care of you for your entire stay. We had the pleasure of staying in a SeaFront Villa as well as the "once and a life time experience" underwater room, sleeping with the fish! If booking the underwater room you will depart around 2pm from the main resort. Just a short boat ride from shore to the unique floating aquarium room where you have all the freedom of the world at your fingertips. It really was like being inside a fish tank, except we were the "fish"!! As soon as we climbed down into the underwater bedroom, a school of hundreds and hundreds of silver fish came to greet us. The options for accommodations at The Manta Resort all offer a comfortable nights sleep. With only 17 rooms in total (including the underwater room) the resort offers a genuine personalized experience. Choose from the spacious SeaFront Villas....The Superior Garden Room...The Standard Garden Room and The Spectacular Underwater Room. The fresh meals during our stay were as equally wonderful as the courteous service. The all-inclusive plan is truly that! The daily massage at the Kipepeo spa is just what my body and mind desired. Here's a list of what's included in the all-inclusive plan. The fresh seafood was my personal favourite, particularly on our last evening when our service fundi arranged a private seafood dinner on the beach, under a sky peppered with millions of stars. What a special way to end our holiday! 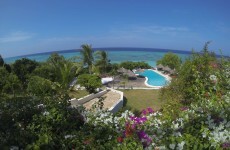 Besides the beautiful Manta Resort, diving is known to attract tourists to this tranquil Island. Located on site you will find the PADI certified diving centre, offering 9 dive locations and 24 dive sites. The untouched coral reefs that surround Pemba Island makes for some of the best diving in the world. Mexico is one of my favourite countries to visit and my most recent trip definitely was one of my top visits to the beautiful country. 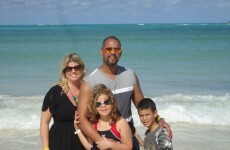 We (my family of four) stayed at the Iberostar Paraiso Lindo in the Mayan Riviera. 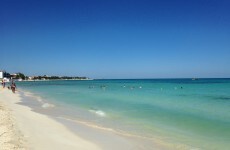 Located in Puerto Morelos on the Playa Paraiso beach, this 4.5 star hotel did not disappoint. I had booked us with Westjet Vacations (always a great choice), arriving Cancun at noon so we cold make the most of our first day at the beach. The transfer from the Cancun International airport is only 30 minutes. I had booked the priority location room type, we were in building 54 which is located right across from the wave pool, sports pool and lazy river and a two minute walk to the main buffets. With a garden-view room there was no noise from the pool side. The Iberostar resorts at Playa Paraiso are set in one complex which has five different properties. While it's a large area it's very easy to get around. Iberostar Beach and Iberostar Del Mar share the same pools/restaurants/activities. The Iberostar Lindo(where we stayed) and Iberostar Maya sections share pools, restaurants/activities. The Maya section has a few of it’s own restaurants. Should you book a package for the Lindo or Maya sections then you also have access to the Beach and Del Mar sections. Wave pool, lazy river and the children's water park are located in the Lindo/Maya section. They also have a separate sports pool, quieter pool and then the huge pool. The Lindo/Maya sections have air-conditioned buffets where as the Beach/Del Mar section the buffets are open air buildings. We enjoyed all of the a la carte restaurants. The Steak House, Japanese and Mexican were my personal favourites. The children loved the food as well! There were many options too choose from with different theme nights to bring variety to the buffet. We all enjoyed the many ice cream bars, the gelato and crepe bar. The disco was fun for adults and children, they have special times for the children. Children's programs were well arranged, the children's and teens clubs were managed nicely as well. The entertainment was the best I've experienced at a resort so far in my travels. The Star Friends do a great job. The beach is beautiful and great for long walks. A large section is roped off and monitored by a lifeguard. Catamaran boats and sea kayaks are available for free, 1 hour a day, reservations made on the beach. Parasailing, jetskis, snorkelling, scuba diving, banana boat, boat tours can be booked on-site at the Dive centre located on the beach. There is an adults only section on the property, the Iberostar Grand. I highly recommend this resort for anyone looking for an adults only hotel. It's 5 star! We booked a day trip to Xcaret Eco Park and also did a JetBoat and Snorkelling excursion in Cancun. I would recommend them both, we had a great time at Xcaret in the underwater rivers. Tours should be booked from the resort. I could go on and on about this trip, if you have any question I'm happy to answer them. Check out my YouTube Channel for videos of the Iberostar Paraiso Lindo. Our trip began from Pearson International in Toronto, Canada. We arrived into Santa Clara Airport, located on one of the Northern Cayes in Cuba. Upon arriving into Santa Clara we proceeded on bus over the man-made causeway to our home for the week, the Iberostar Ensenachoes. This 5-star resort is the only resort on Cayo Ensenachos and has two beautiful powdery white beaches, Ensenachos beach and Megano beach. Iberostar Ensenachos is a large resort and occupies the entire key. It has three sections and is suitable for families and couples of all ages. The Park Suite section is open to all ages and the rooms are situated near the children's water park and pool. The Spa Section is for a more relaxing setting and is for ages 18+. The VIP Grand Village Section has large 1 and 2 bedroom villas with Jacuzzi and is for guests 14+. The food inn our opinion was great. There was always a wide variety to choose from at the buffet including fresh shrimp and lobster, 24 hour food - the kids are some what picky and they had no troubles finding things they enjoyed. We loved having our morning smoothy made fresh with strawberries, pineapple and banana. The a-la-cart restaurants were also very nice, the seafood restaurant is located on the water with a wonderful view. The pool snack bar was my favorite with the tasty calamari and a nice salad bar! One of our main reasons for choosing the Iberostar Ensenachos was the water park for the children. They loved the pirate ship and water slides. They also enjoyed the Kids Clubs which had daily activities pool side and on beach for them. They especially enjoyed the evening entertainment where they could also get up on stage and participate with their friends. For 5 pesos we took a taxi to Cayo Santa Maria (5 minute drive) to the Pueblo la Estrella Market. The prices were great and you did not have to barter, unlike some other destinations. The bank is also conveniently located here as are a few other shops, and don't forget the ice cream to keep you cool! I could go on and on about the things we enjoyed. The service was great, the spa was lovely as well! We had a wonderful time and will be returning, most definitely! If you are a family of four I highly recommend upgrading to the two level suite! August is a great time to visit the Maasai Mara and enjoy a Hot Air Balloon Ride over the Great Migration. Having lived in the Maasai Mara for several months I have had the opportunity to visit and learn many of the camps and lodges in both conservancies of the Maasai Mara Game Reserve. The up close and personal experience with the African wildlife is an amazing experience. It is something I never get tired of and I think you will enjoy it just as much. I enjoy spending my time in the Serengeti National Park with the amazing Wildlife. It's one of my favorite places in the world! The Serengeti is a large park in Northern Tanzania. It is a must see for those looking to connect with nature. It is home to many animals including the "Big 5" and also where the Great Migration of Wildebeest and Zebra call home for over half of the year. Last year I took my first trip to Zanzibar, an island off the coast of Tanzania. This floating paradise in the Indian Ocean is surrounded by miles and miles of coral reef, this makes for some amazing snorkeling and diving. The islands of Pemba and Mafia which are included in the archipelago are also popular for diving and great beach holidays. Diving with the whale sharks is available off of Mafia and is one of the items on my bucket list! While visiting Zanzibar you will likely want to spend time in Stonetown to experience the culture, spice and cuisine, the historical sites such the Slave Market, Old Fort, and the National Musuem. Many day trips can be arranged from Stonetown to the near by islands such as Changuu "Prision" Island, Bawe Island, Grave and Snake Island (don't worry there are no snakes on the island, weird, I know!) The sandbar is also a nice way to spend the afternoon enjoying the warm Indian Ocean. The coast villages around Zanzibar are lined with beach hotels, resorts, guest houses, ranging from basic to very high end. Some of the coasts are more laid back than others, while the North Coast is popular with tourists. It is best to check with an East African specialist when planning a visit to Zanzibar. Amanda Strowbridge-Msuya is an independent owner, affiliated with TPI.